Hodgson Russ LLP announced today that its website, hodgsonruss.com, has received two “Best in Class” Interactive Media Awards (IMA) in the Professional Services and Legal categories from the Interactive Media Council, Inc. (IMC). This is the fifth international award the website has received since launching in August 2014. 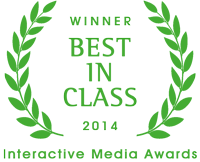 The Interactive Media Awards recognize high standards of excellence in website design and development. The winner of a Best in Class award has excelled in all areas of the judging criteria, including design, usability, innovation in technical features, standards compliance, and content, achieving a near-perfect overall score. According to the IMC, a Best in Class website represents the highest standards of professionalism, standards compliance, and planning and execution. IMC is a nonprofit organization of web designers, developers, programmers, advertisers and other web-related professionals. IMC established the IMA competition to encourage the pursuit of excellence on the Internet.